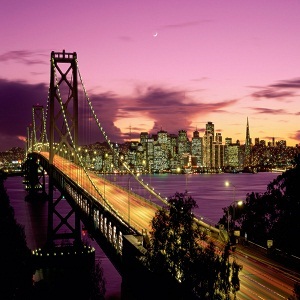 San Francisco has been recently voted as America’s best city by Bloomberg and Business week. It is an eccentric city with a diverse and accepting culture. San Francisco is also a business and tourist hub and so there is a great amount of cultural exchange. The city is rich in arts, music, cuisine, festivals, museums, and architecture and a tourist here is guaranteed good quality time. Whether you are a tourist, on a business trip or have just shifted to a neighborhood in San Francisco, you will not find blending in with the locals very difficult because of the open culture. The city is known for its rich cuisine and styled restaurants. The locals love enjoying fine food and will be most delighted if you offer to dine together. Eating together helps like nothing else in blending in with the society and getting informal. To blend in with a local, offer him a drink in a friendly gesture. If you are at a bar, look around for people who might interest you. However, do not intrude in somebody’s privacy. Introduce yourself and explain the situation that you are new to the city and wish to be know about local norms and culture. You might just earn yourself a friend for the time you are here and even after that. Ask friends about the any acquaintances in the town. You can also look into your Facebook account and your contact book to look for friends and relatives who are in the town and can give you time. Someone who has already settled in place can guide you about the city and help you make a social circle. Once you are settled in, you will do fine on your own. Dogs are favorite pets in this city. Having a pet dog instantly puts you on friendly grounds with other home owners because you share the same interests and love for the animal. Taking a stroll in the evenings or during visiting tourist attractions is going to help you blend in with the locals.